The training addresses the rules and requirements of the General Data Protection Regulation (GDPR), it is important for individuals and institutions both within the EU and those outside the EU that may deal with personal data relevant to persons in the EU. The courses provide an understanding of new and wide-reaching requirements from the GDPR and those rules relevant for businesses, as well as employee's responsibilities for protecting personal information. Why CyberTraining365 for GDPR training? We offer the most in-depth GDPR online training that covers all relevant topics associated to GDPR at a very competitive price. Our micro-learning / bite-sized training methodology helps in content retention. We have done our best to make sure the training is not boring, but aesthetically pleasing, interesting to watch and still maintains the highest quality of content. Our customers will always have access to a growing library of GDPR and cyber security training content. This includes quality, engaging video courses, labs & assessment exams, taught by industry experts. This course aims to provide a complete foundation on the principles, roles, responsibilities, and processes under the GDPR to all your non-technical staff, reducing your organizations risk of non-compliance. This employee awareness training will aid you and your organization achieve compliance with GDPR. GDPR Foundation training enables you to learn the basic elements to implement and manage a compliance framework with regard to the protection of personal data. During this training course, you will be able to understand the fundamental privacy principles and become familiar with the role of the Data Protection Officer. 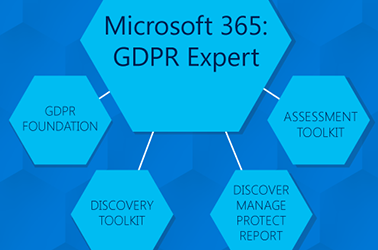 The GDPR for Microsoft 365 Course is designed to help you gain a better understanding of what Microsoft 365 offers to assist in making your journey towards GDPR compliance easier. 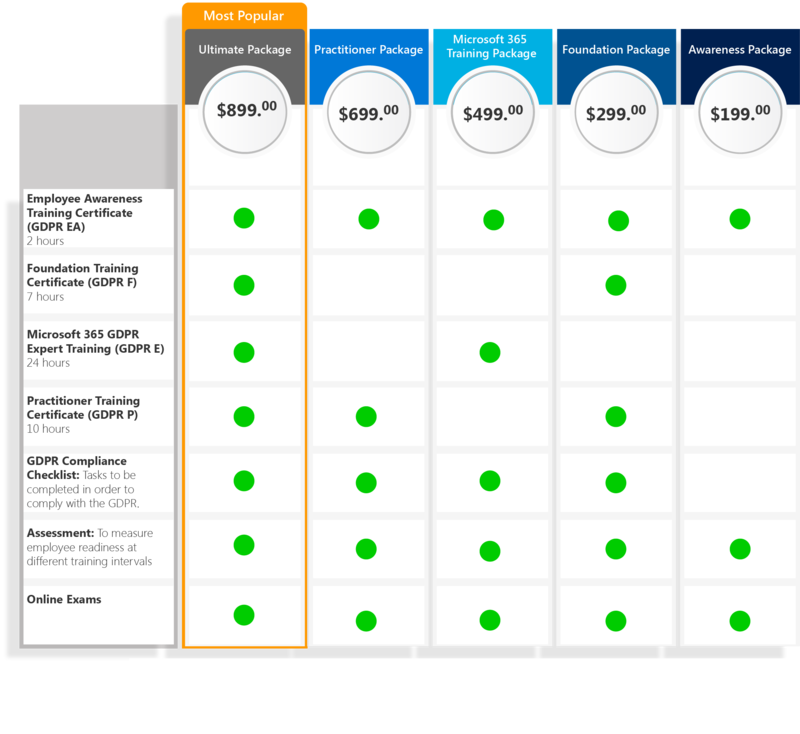 Our goal is to make sure that you can make an informed decision about whether Microsoft 365 is the right compliance path for your company. You will be guided through the four steps of the Microsoft GDPR compliance framework, and given an in-depth explanation of the tools and resources you can use through Microsoft 365. 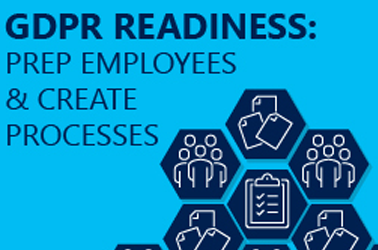 It will also give you some insight into the opportunities you can benefit from through GDPR compliance as a Microsoft Partner. 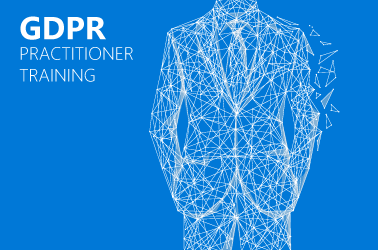 The Practitioner Training Certificate (GDPR P) is the qualification for those undertaking the role of Data Protection Officer under the new General Data Protection Regulation. Suitable for the public and private sector it will teach delegates essential GDPR skills and knowledge. It enables you to develop the necessary knowledge, skills and competence to effectively implement and manage a compliance framework with regard to the protection of personal data. Since 2007, we've successfully completed over 1,000 projects that were delivered on budget and on-time. Our clients include startups to fortune 50 companies in almost every industry you can think of. This is not something that your organization can procrastinate any longer. Every business decision maker and security professional needs to be aware of how to avoid heavy fines, litigation, and loss of reputation for your organization, resulting from non-compliance to the upcoming General Data Protection Regulation (GDPR) on May 25th, 2018. Use our training to learn how this mandate can impact your company, how to maintain compliance, and how to completely secure your company's personal data to global standards.